Different shades of blue and blue remind the sea, and the overflows on the marble balloon look like the waves. Here you can see sea stars, and pearls in shells - all depends on your imagination! 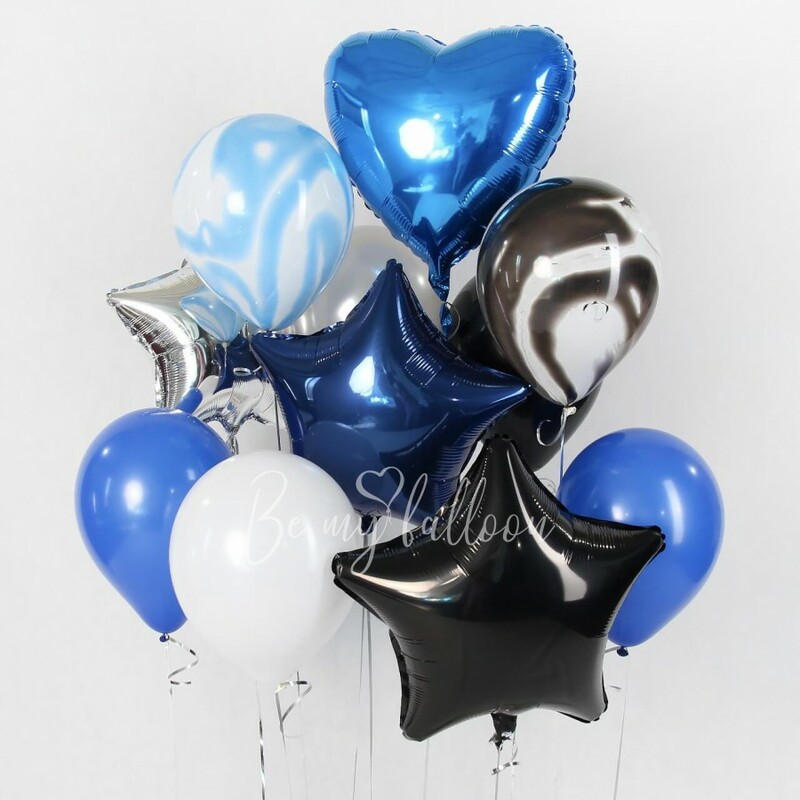 The set includes: - 3 foil stars 20" - 1 foil heart 18" - 2 marble balloons 11" - 5 latex balloons 11"